Dimitri Krainc, MD, PhD, the Aaron Montgomery Ward Professor and chair of The Ken and Ruth Davee Department of Neurology, was senior author of a study published in Proceedings of the National Academy of Sciences of the United States of America. 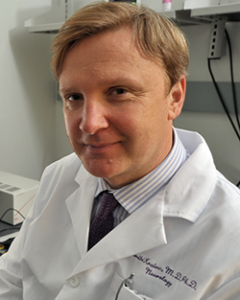 Dimitri Krainc, MD, PhD, chair and Aaron Montgomery Ward Professor of Neurology, was the senior author of the study, which demonstrated a link between defective synaptic vesicle endocytosis and accumulation of toxic oxidized dopamine. 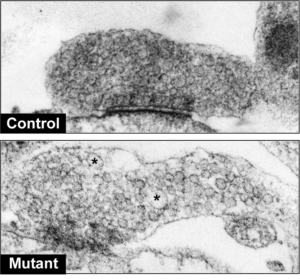 LRRK2 patient-derived dopaminergic neurons display synaptic defects. 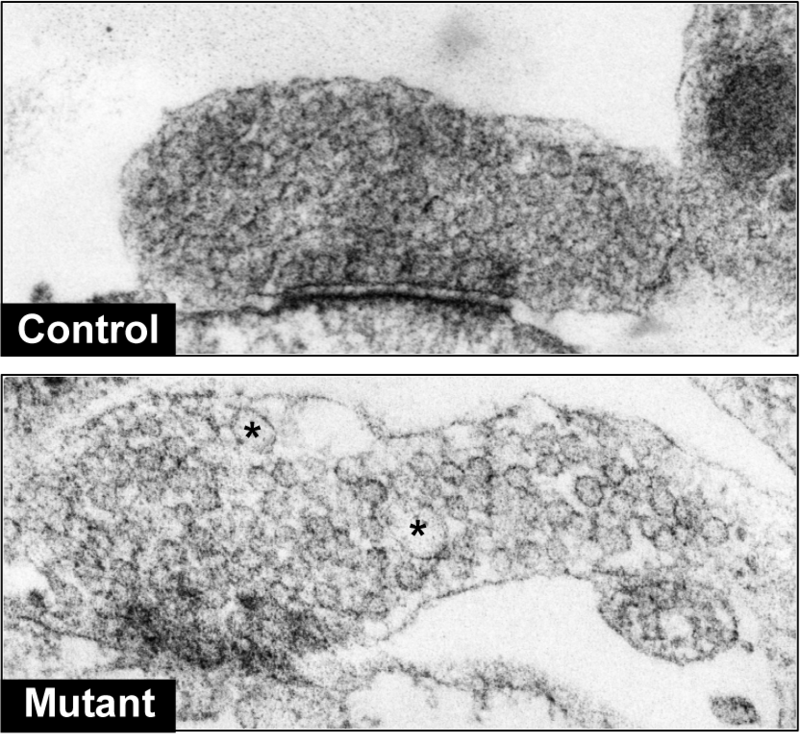 Neurons derived from healthy human controls showed normal synaptic vesicle densities in the synaptic terminal (upper image), whereas LRRK2 patients displayed sparse and enlarged vesicles (asterisks, lower image) indicative of defective synaptic function. Maria Nguyen, a fifth-year student in the Northwestern University Interdepartmental Neuroscience Program, was the first author of the study. The study was supported by National Institutes of Health Grants R01 NS076054, R01 NS096240 and 2T32AG020506-16.